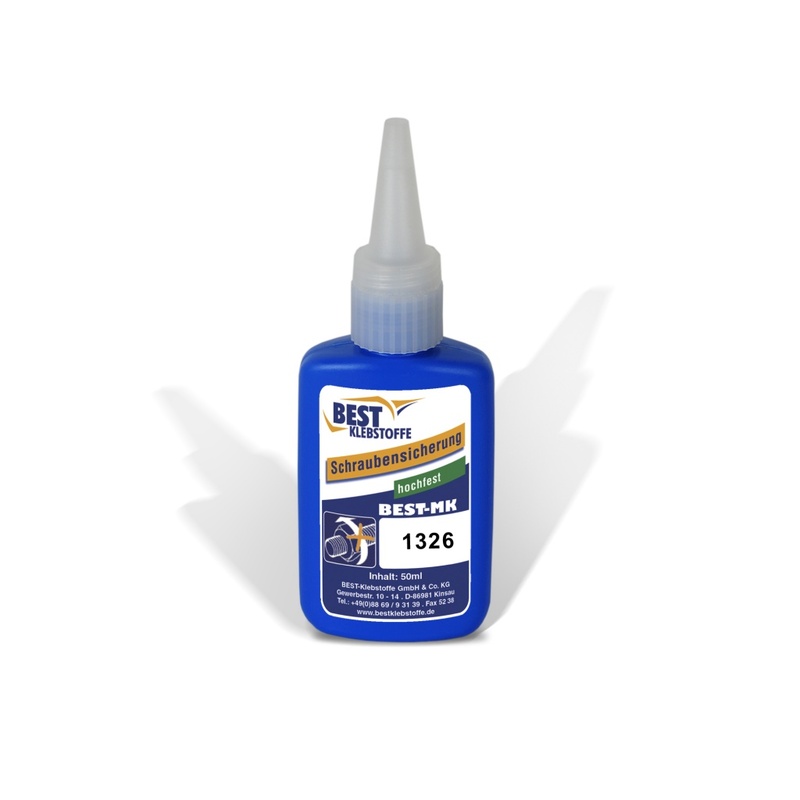 BEST-MK 1326 is a one-component, solvent free, high strength and low viscous anaerobically curing adhesive based on di-mthacrylate ester. In addition to the fields of application listed below the product is also suitable for securing and sealing of passive and inactive surfaces without the need for use of an activator. BEST-MK 1326 is especially suitable for high strength securing of threaded connections and for fastening of coaxial adherends, e. g. bushings, bearings and shaft-hub-connections. BEST-MK 1326 combines high strength with good chemical resistance. Disassembly of threaded connections might not be possible without causing damage to screw or thread. The low viscosity provides good capillary action and a good distribution on the adherends.